I imagine that the filmmaking team behind 47 Ronin don’t very much care that they received two star reviews in The Guardian. This is, after all, a film that mixes traditional Japanese folklore with Keanu Reeves as the hero and an English speaking Japanese cast surrounded by CGI dragons and monstrous humans. It is not exactly Academy Award fare and although the film sidesteps the dubious politics of having a white man play a Japanese protagonist by situating Reeve’s character Kai as a ‘half-breed,’ it is certain director Carl Erik Rinsch isn’t expecting to win any prizes for cultural sensitivity. I do imagine that they are a more concerned about early reports that the film will be the greatest box office flop of 2013. There is very much the sense that this is a film that aimed high, not just with its $175+ million budget but with star pull in both Keanu Reeves and well known Japanese actor Hiroyuki Sanada as well as significant effort put into creating CGI effects. Yet the results did not fully come together. Rather than an authentic period piece with a twist that could interest Japanese aficionados or a full B-movie exploitation tone that could camp up the fantasy elements and implausible witch craft (which could also help explain why 49 year old Keanu is supposedly the same age as 32 year old co-star Kô Shibasaki), the film falls somewhere in between. I’ll leave other commentators to contemplate quite what went wrong (or right if they are so inclined) with the narrative and dialogue and instead focus on how the use of 3D represents an effort within the film that strives hard but doesn’t quite make it. 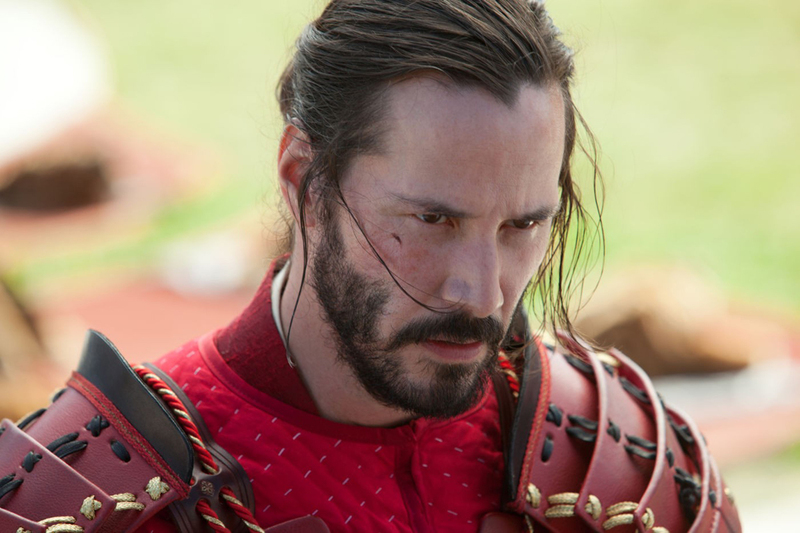 In the same way that much work was put into the rest of the film, 47 Ronin was shot in 3D rather than taking the easier (although not always cheaper) option of shooting normally and converting the film in post-production. The director is on record as saying that he recognised the limitations of shooting with 3D cameras and decided to forego a handheld camera style in favour of a more suitable classical style. Where this effort is evident is in effective use of negative parallax for scenes of stereoscopic debris. By this I don’t necessarily mean scenes that involve physical debris (although some of 47 Ronin’s battle scenes do include this) but scenes that utilise small, fragmented objects and particles that float and fly around the auditorium. One of these is a scene of the Ronin travelling on horseback through snow. The delicate flakes swirl ferociously around the space between the audience and the film when the characters are out on open land and float more gently towards the viewer in the village shots. It’s a type of scene that is becoming familiar in other stereoscopic films (Hara-Kiri, Hugo, Prometheus, G.I. Joe Retaliation, Iron Man 3, Man of Steel, The Great Gatsby) to the point where one wonders if the scene is written specifically for the effect. This type of planning would confirm critics’ fear that gimmicky 3D effects are used at the expense of narrative but it can also suggest a sensual use of style to drive setting rather than a reliance purely on plot motivation. Although 47 Ronin avoids the ubiquitous underwater scene that is currently used to show off stereoscopic effects in many blockbusters (for example, Bait 3D, G.I. 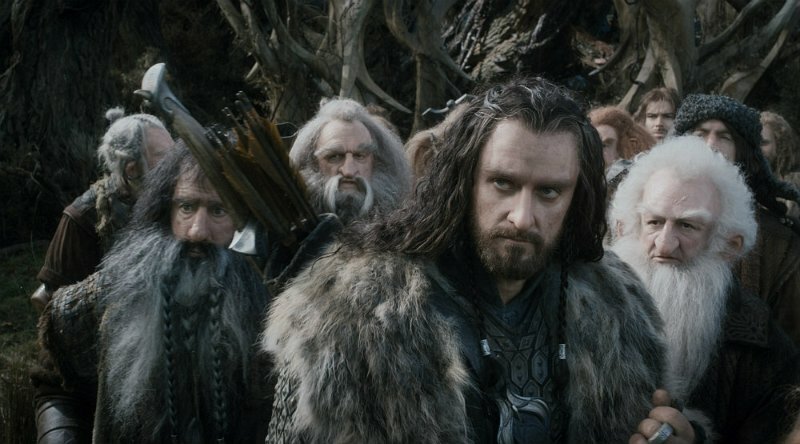 Joe Retaliation, Gravity, The Hobbit: Desolation of Smaug), it does successfully use fire to create a sense of the film overwhelming the audience. 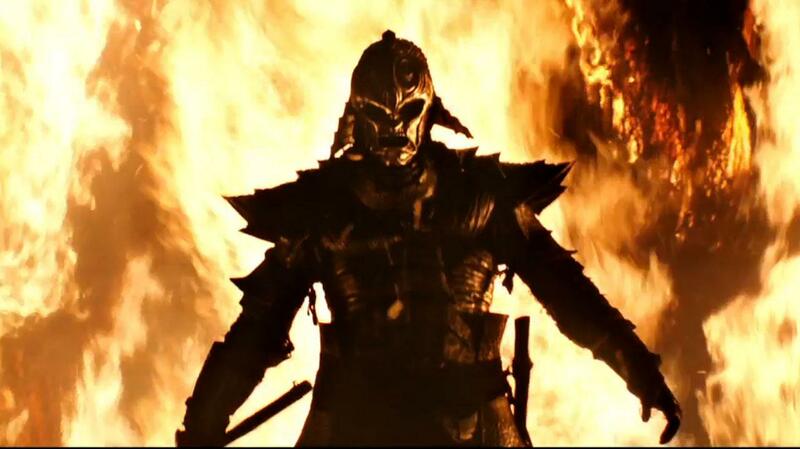 Even more so than The Hobbit: Desolation of Smaug’s recent fire breathing dragon sequences, 47 Ronin provides flame soaked vistas that break down a sense of separation between the audience and action. 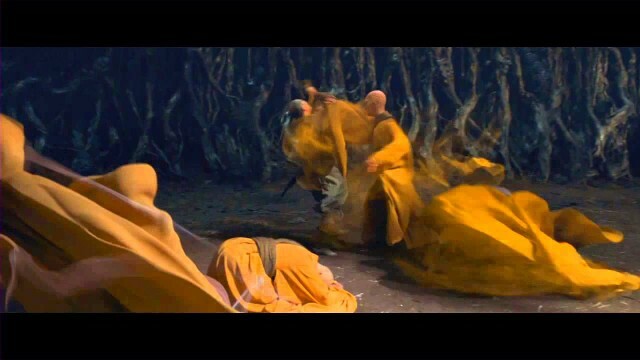 In a similar way, when the monks of an evil forest are awakened, their yellow robes extend and swoosh around the auditorium in long semi-transparent layers. They seemingly spread through us as much as they saturate the characters who are trying to escape them. Other battle scenes are also made more visceral through the use of action tumbling towards the viewers in negative parallax. One of the positive outcomes is that it helps stitch together the seams of virtual CG creations and the live action filming. The first instance where this happens is when the samurai (later to become the 47 Ronin) are hunting a mythical beast in the forest. When the beast finally appears, stereoscopic debris (splintering branches, clods of earth and other mobile material) combines with fast cuts to mean that the audience is distracted and the beast is more imagined than seen. It effectively prevents too close a comparison between the digital beast and the live action characters whilst retaining a sense of the power and ferocity of the beast. The extent to which this is an effective tactic can be seen in other scenes when these distractions are not employed and the audience is allowed to gaze on CG creations. The fortress belonging to antagonist Lord Kira looks little more than a basic digital model. The same is true of many Japanese landscapes that look painted on behind the principal action. This tendency to put great effort into making individual scenes look incredible while leaving others to look hurriedly finished extends to the use of shot set ups. While some shots effectively capture the depth relations of the space in which the characters interact, most use the contemporary stylistic tendency to pull and shift focus at every opportunity. With fuzzy backgrounds and foregrounds in many shots, the depth relations of objects are unclear. In many close-ups and mid-shots, the actors look somewhat flat. This is not because of any inert cardboard cut-out 3D effect but because it is impossible to view them in relation to the objects around them. Our eyes rely on various depth cues to perceive depth and when lighting and focus are combined to remove extra depth cues, the stereoscopy is not enough to prevent something from looking flat. 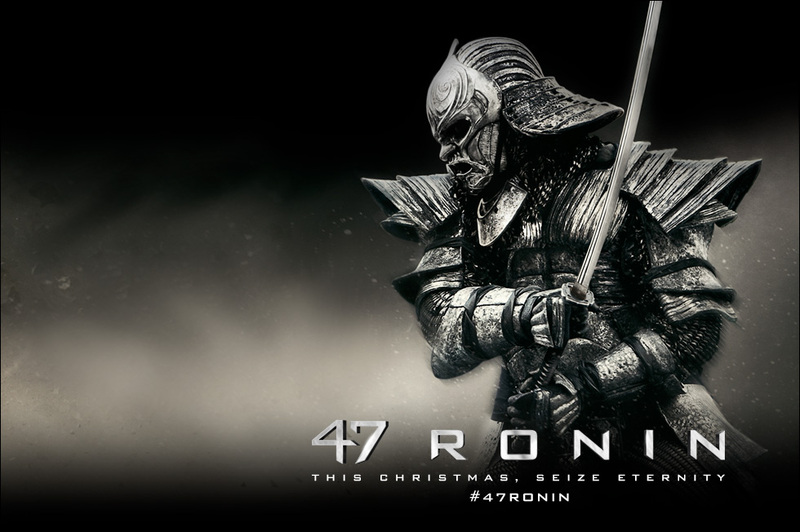 The coming weeks will allow executives to fully realise how much money 47 Ronin will lose. In terms of 3D cinema’s development, it proves that stereoscopy is able to provide additions to the film that could not be found in its 2D version but, as always, it is a mixed bag when directors and studios are too reliant on stylistic tendencies that work better in 2D cinema. 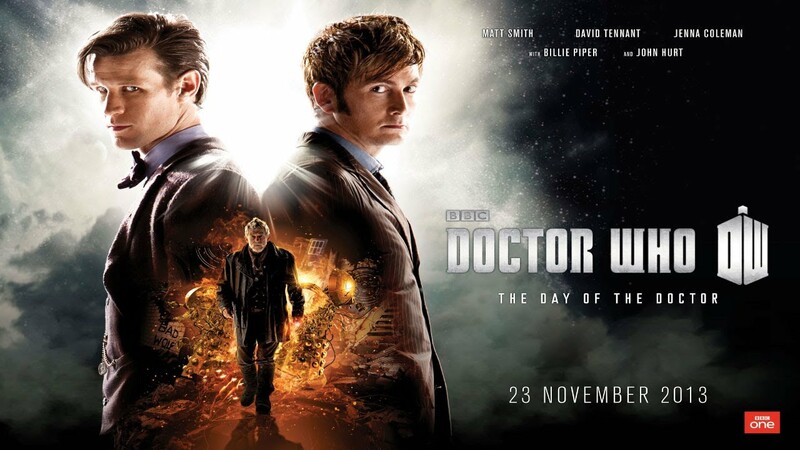 In the same period that the Fiftieth Anniversary episode of Doctor Who, The Day of the Doctor was broadcast around the world, a number of cinemas showed it in 3D. 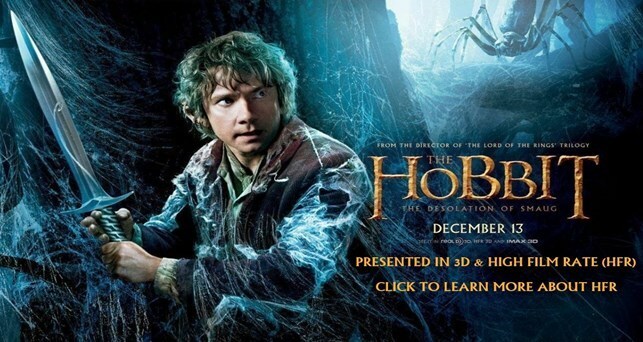 It was so popular in New Zealand that it reached third place in the weekend box office charts. I saw it Wellington’s Embassy theatre where, on its third showing, it was full of Dr Who fans. Before the episode fully began there was an introduction by Matt Smith who directly addressed the audience. Intercut with some shots of David Tennant, they worked as a double act to highlight that the presentation would be in 3D and that there were possibly Zygons (shape shifting enemies from the television series) in the auditorium. Playing on the premise that audience members would have put on their 3D glasses, they conducted a simple test whereby viewers could tell if their neighbours had been taken over by a Zygon depending on whether one of the glasses’ lenses became darker when viewed with one eye closed (a trick that depends on the way the polarising filters in the glasses operates). On the one hand, this introduction spoke to fans of the show by utilising their previous knowledge of the Zygons in order to create humour. 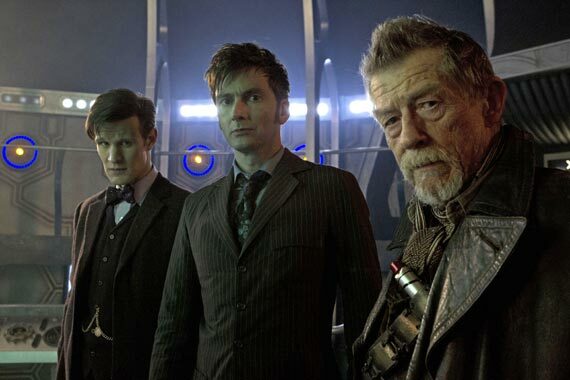 There was also a moment when David Tennant warned the audience about the protrusion of Matt Smith’s chin in 3D, similarly playing on fan familiarity with the TV show. On the other hand, the introduction made it clear that the stereoscopic elements would be integral to the episode and would be unashamedly playful and obtrusive. When the episode did begin it felt as if the 3D effects had travelled back in time. 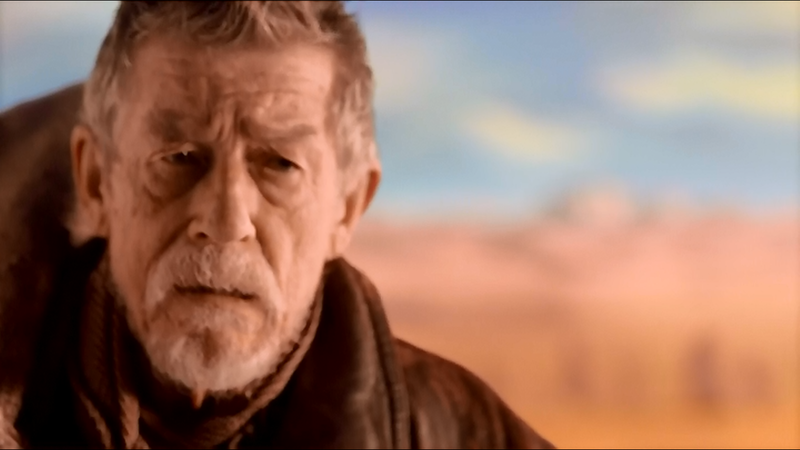 The first scenes with the doctor’s assistant Clara had artefacts such as strobing and harsh parallax jumps that brought about a sense of discomfort in the viewing process. I hadn’t these seen since the earlier wave of digital 3D films. 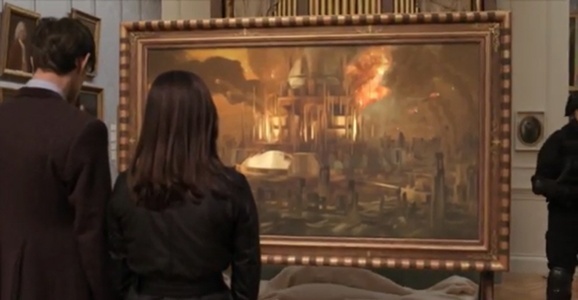 The 3D effects were so clunky that when Clara and Matt Smith were brought into the National Gallery in London in order to see a painting called No More, I thought the painting had accidentally been misaligned so as to appear stereoscopic rather then flat. Instead, further dialogue from the characters pointed out that the painting was purposefully unusual in its qualities as a stereoscopic painting. 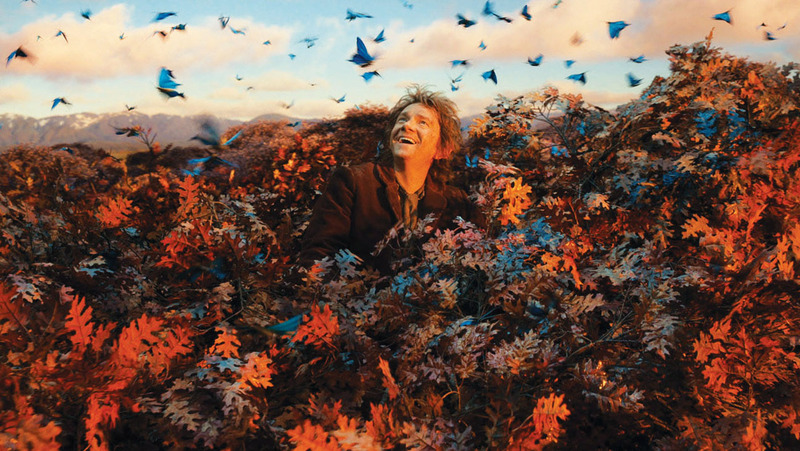 Although the 3D effects could have been more effectively constructed in the scenes leading up to this moment, they were successful in creating a visual field that is unique to the 3D viewing process. The painting took on an unearthly quality that suited the development of the plot. At the same time that this moment begged the question of what viewers would have seen when watching the show in 2D, it made the case for why 3D can operate as a distinct, and unique visual environment. The rest of the episode continued to make this case by utilising a number of depth fields and by displaying a wide range of stereoscopic effects. 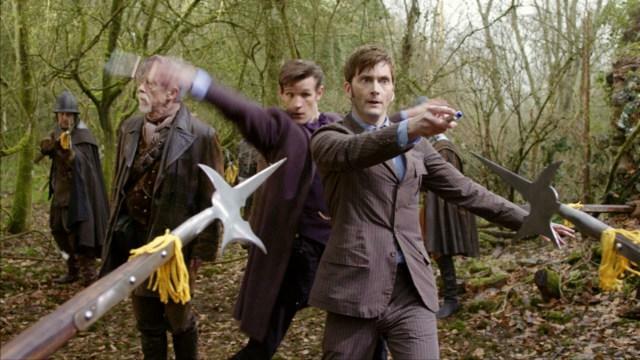 These ranged from the relatively gentle, for example when the paperback Matt Smith is reading in the Tardis bulges towards the audience, to the more extreme, when objects fly into the auditorium during the war scenes with the newly introduced doctor, John Hurt. 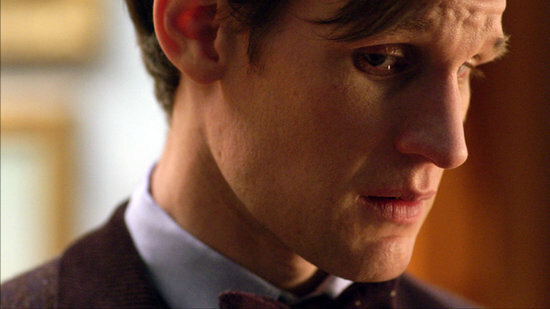 Throughout the episode, there were a number of close-ups on the doctors’ enigmatic faces. While these close-ups, and their enhancements in 3D, played upon the eccentricity of the characters and their quirky visual appeal, they also helped to make the doctors feel more present in the auditorium. As the episode progressed, the stereoscopic effects felt increasingly smoother and they were able to do what the best contemporary 3D films can do, which is to give audiences the sense of a thick, materially present space which is shared between the film and the auditorium. The episode was also effective in showing that there are strong visual moments when it makes sense to hurl and protrude objects towards the viewers’ space. From the sound of excited and happy fans in the auditorium where I watched the episode, there was little sense that the 3D was estranging them or making it hard for them to invest in the latest instalment in the Dr Who adventures. Instead, there was genuine delight in seeing the doctors on the big screen and in stereoscopic 3D.